Reel Stories. Real People, Inc. was initially conceived from the idea that people become better learners when the content is crafted in a manner that imparts a story. Nonprofit organizations, educational institutes, and people associated with a positive cause share their stories every day with donors, volunteers, staff, foundation members, community partners, and journalists. Reel Stories. 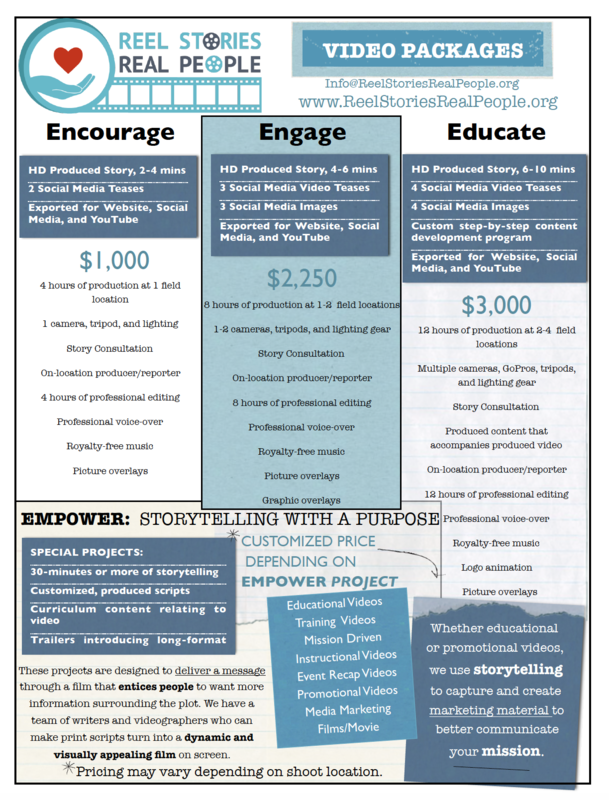 Real People., Inc.’s call to action: we tell real stories about real people. Whether educational or promotional videos, we use storytelling to capture and create marketing material to better communicate your mission. 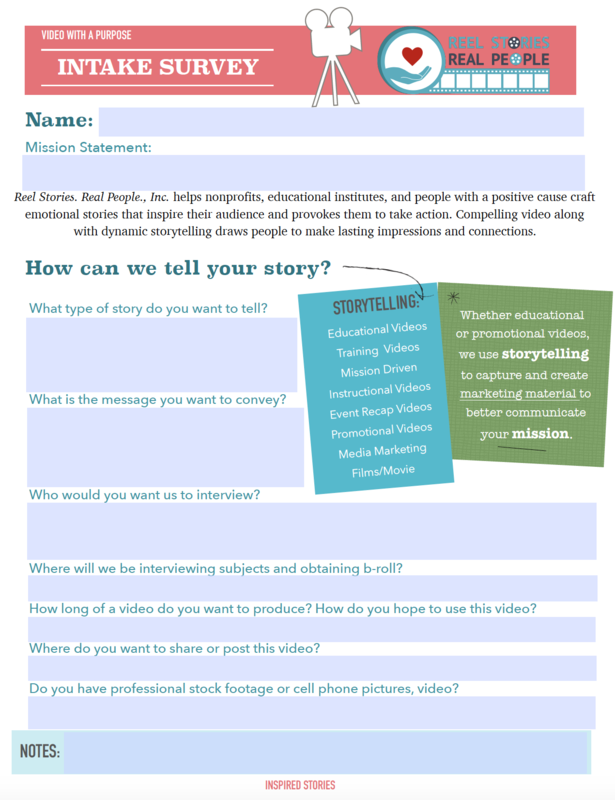 Compelling video along with dynamic storytelling draws people to make lasting impressions and connections. It’s our goal to capture the raw emotions of real people who are telling their real stories within their community. Please review the information above about the various video packages we offer through Reel Stories. Real People., Inc. We want to help our clients craft emotional stories that inspire their audience and provokes them to take action. You’re more than welcome to download the intake survey form and send it via email to [email protected] or fill out the electronic form below. What is the name of your nonprofit, educational group, or event associated with a positive cause? 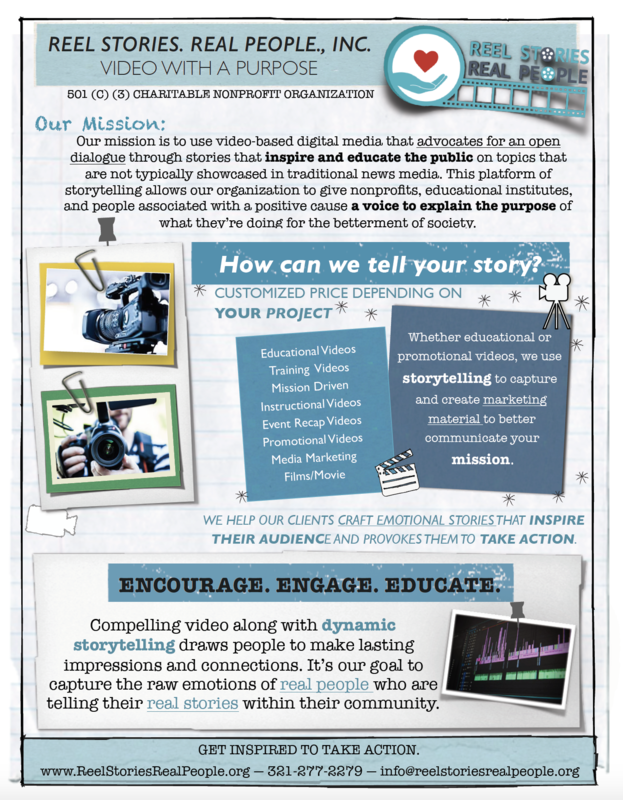 Why do you need a video to help tell the story of your cause? Who do you want us to interview for this story? Where will we be interviewing subjects and obtaining b-roll? How long of a video do you want produced? Will graphics, logos, and special effects need to edited with the video? Please provide the contact name of the primary organiser for this positive cause.